This machine embroidery applique club features Desiree's popular designs as Mug Rugs, hot pads, trivets etc. Join us and have fun while learning some new techniques. You will come in and pick up your new Mug Rug embroidery design each month, where we will have a brief discussion on how it’s made, and where you can show off your last month’s project. 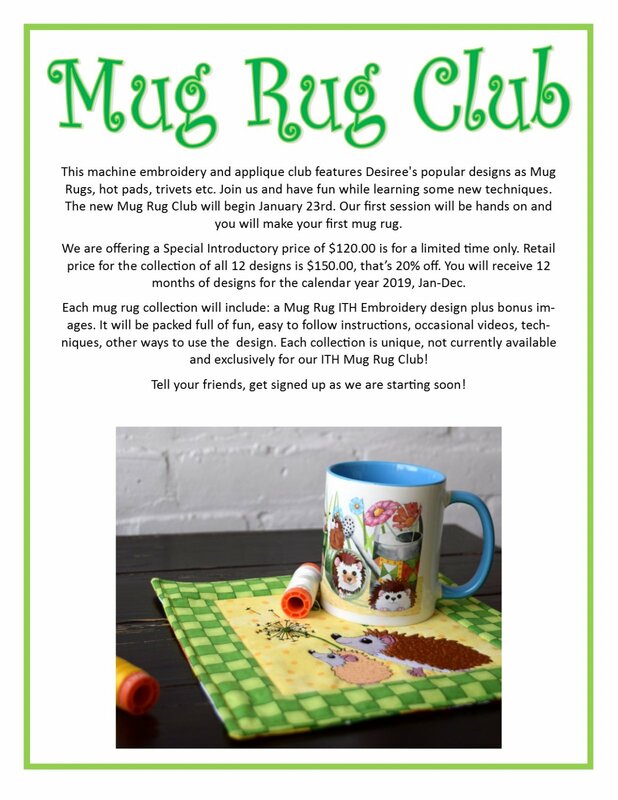 Once a quarter we will schedule a hands-on Mug Rug Club meeting, where Mary will help you embroider one of the Mug Rugs from your collection.